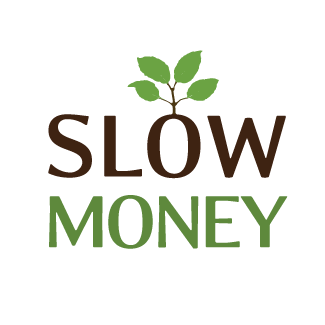 Slow Money Pioneer Valley is part of the national Slow Money movement, and is coordinated with other initiatives in support of the local food system and investing, like PV Grows and Invest Here Now. It also works closely with other Slow Money Networks in the region, including Boston, Maine, and Vermont. 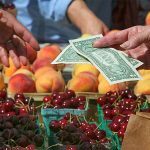 The mission of our Slow Money Network is to catalyze community-based investment in the local food system by connecting investors, farmers and entrepreneurs in order to strengthen our local and regional food economy. SMPV organized its first “Entrepreneurs’ Showcase” in January 2014 where farm and food businesses presented their business plans to potential investors, and has sponsored workshops on different options for food entrepreneurs seeking financing. On May 21st, there will be a gathering of the Slow Money Networks from the region in Boston. An important part of the program will be an Entrepreneurs’ Showcase. Each regional Network will nominate 2-3 entrepreneurs to participate from which one will be chosen to provide a balanced group representing different business stages, products and strategies from the region. Slow Money Pioneer Valley will follow up with its own Entrepreneurs’ Showcase in the Fall. These Showcases will give entrepreneurs an opportunity to get feedback from private investors on their business plans, and make contacts and forge relationships that will be useful as their businesses grow and need support, including financing. · Connect with community members who are consumers, activists, and potential investors. · Potential investors may be interested in your project and want to discuss investment options in greater detail. Slow Money Pioneer Valley invites you to submit a brief 4-5 sentence description of your business and its current and anticipated needs. The submission will be reviewed by SMPV and you will be informed whether you are a candidate for either of the upcoming showcases. If so, SMPV will work with you to finalize your presentation. In the case of the Regional Showcase in May, the organizers from Slow Money Boston will also work with you to ensure a consistent format among all the regional entrepreneurs. During each event, each entrepreneur will have 5 minutes to make their presentation about their business, and their financing needs. Local investors and food system supporters will then have 5 minutes to ask questions about each business. Following the presentations, entrepreneurs, investors, and community members have the opportunity to meet for more in-depth, one-on-one discussions. If you are interested in presenting at the Boston showcase, please send in your 4-5 sentence description of your business by April 17th to cdileo@charlemont.org. For questions, please email Paul DiLeo (pdileo@grassrootscap.com) or Dan Rosenberg (dan@realpickles.com). For the SMPV Showcase in the fall, we will send out a reminder and specify a deadline for submissions once the date has been set. 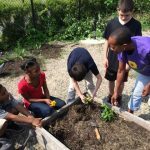 Thanks for your interest and we look forward to working together with Pioneer Valley food businesses! Slow Money Pioneer Valley Entrepreneur Showcase on October 1st!